Vacation Bible School (VBS) was a high point for the children and youth at South Norfolk Baptist Church, for two weeks every June after school let out. I can still see in my "mind's eye," Mrs. Mary Benton, (who taught in the South Norfolk Schools) as principal of the Bible school, and Mrs. Betty LeBlanc, pianist, for many years. 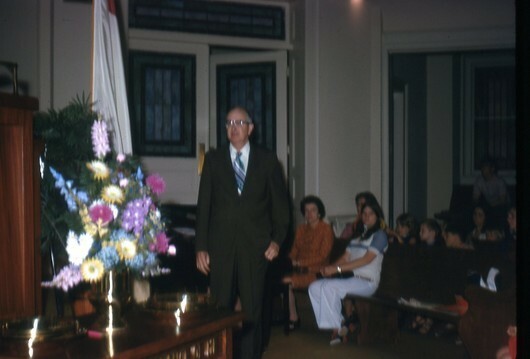 Dad always witnessed to the older children and youth on the last day's Joint Worship Service. It was a very good presentation. VBS was a great experience. One oddity that occurred for many years, was it rained on Parent's Night of the last day! It usually cleared up while the Joint Worship Service was in progress, where each class presented music or recitation from memory. aid in promotion of schools and in the training of workers over the Convention. mission offering and 55,680 professions of faith. Grice, Homer Lamar was born on April 12, 1883 in Citra, Florida, United States. Son of Albert Gallatin and Sarah Lee (Bennett) Grice. Bachelor of Arts, Mercer U., Macon, Georgia, 1912, Doctor of Divinity, 1921. A.M., George Peabody College for Teachers, 1929. Graduate study Boston University School of Religious Edition and Social Service, and Vanderbilt University School of Religion. Teacher public schools, Alabama, 1899-1901. In railway mail service, United States Government, 1902-1909. Professor of English, Ouachita College, Arkadelphia, Arkansas, 1913-1915. Ordained Baptist ministry, 1913. Pastor First Church, Washington, Georgia, 1915-1924. Secretary in charge Vacation Bible School Department, editor Vacation Bible School text books of Baptist Sunday School Board, since 1924, also editor New Graded Intermediate S.S. Lessons and lesson writer for 14-year and 15-year pupils, 1930-1933. Married Ethel Harrison, August 21, 1912. Vacation Bible School is the premiere outreach event of the year for many churches. Few other events offer the potential to reach out to children and adults in your community the way VBS can. It offers a powerful and unique opportunity for sharing Jesus Christ and positively impacting the kingdom of God. All resources must be Bible-based and biblically accurate. The learning and activity features must be appropriate for the age group they are designed to reach. Vacation Bible School should be fun, yet grounded in reality. Our resources come from and are true to the Word of God. We don’t represent Bible characters as cartoons or inanimate objects. We want children to understand the reality of the Bible through an entertaining, theme-oriented learning approach. Our beliefs and commitments are outlined in greater detail in the Purpose Statement and Principles we have adopted. 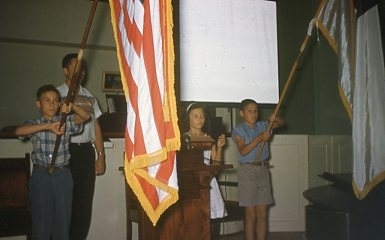 Vacation Bible School was the idea of Mrs. Walter Aylett Hawes, a doctor’s wife. Her goal was to get children off the streets of New York. In 1898 and 1899 Mrs. Hawes rented a beer hall in New York’s East Side to conduct her Everyday Bible School. In 1900 Mrs. Hawes’ pastor, Howard Lee Jones, insisted that the Bible school move to the church building, Epiphany Baptist Church. After two weeks it became clear that children from the East Side would not attend at the church, so Mrs. Hawes moved the school back to a site near the beer hall. 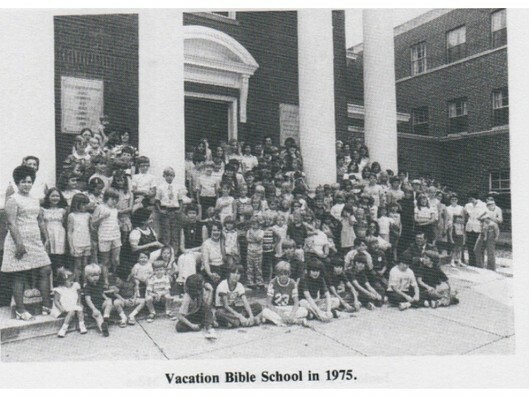 In the early 20th century, Vacation Bible School became a growing trend. 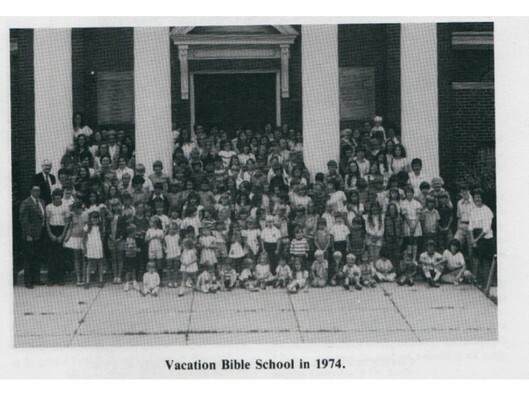 While Mrs. Hawes was indeed a Baptist, Vacation Bible School was a non-denominational event in those early years. 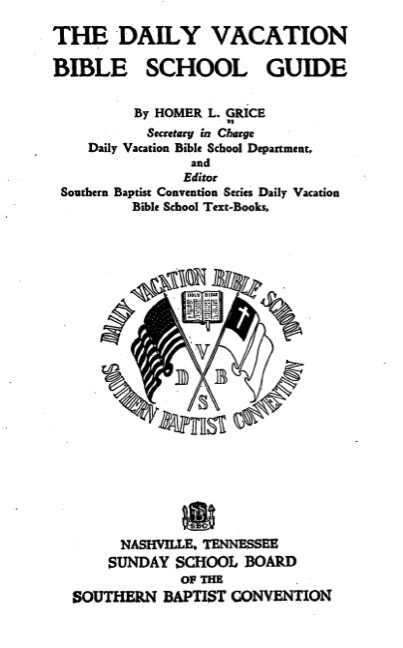 In 1922 the Sunday School Board of the Southern Baptist Convention assigned the work of VBS to the Sunday School Administration Department. 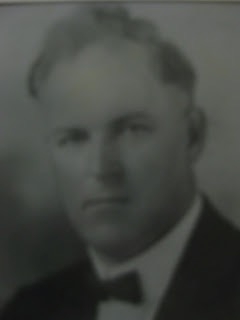 In 1924 a Vacation Bible School Department was formed and Homer Grice, a pastor from Georgia, became its first director. At that point VBS was usually a 4-week event! VBS is one of the most strategic outreach tools for the church and includes age-appropriate evangelism emphasis. VBS is a flagship church event, uniquely inviting and exciting for everyone involved. The event belongs to the local church and must be flexible enough for individual church needs. VBS is centered on a theme that permeates content, methodology, and the learning environment, creating an experience totally distinct from Sunday school. The theme must be appealing to children. A sub-theme may be used to explain content or the meaning of the theme. VBS provides sound, relevant Bible study that enables people to experience and respond to the gospel message in ways that are appropriate for them. Everything that happens during a day of Vacation Bible School grows out of the biblical content and emphasis of that day. Vacation Bible School leads preschoolers, children, youth, and adults to study the same biblical content, when appropriate. VBS includes schedules that help older preschoolers and children rotate through varied learning experiences with a variety of Christian leaders. It also offers suggestions for a self-contained classroom option. VBS enlists teachers of preschoolers and children to lead certain functions based on their abilities, interests, and spiritual gifts. This simplifies worker preparation for many teachers who repeat their teaching assignments with different groups of children. VBS requires user-friendly, easy-to-prepare, and easy-to-use materials that help teachers lead effective, meaningful learning experiences and establish relationships with learners. The primary elements of Vacation Bible School are Bible study, worship, crafts, music, missions, recreation, and snacks. Each age group may adapt these elements. VBS is an entry point to church and Christianity for many people, so it must be comfortable, enjoyable, and appealing. Vacation Bible School gives the church the opportunity to establish long-term relationships with these people. Vacation Bible School must provide challenging experiences that continue to stimulate spiritual growth for churched people. 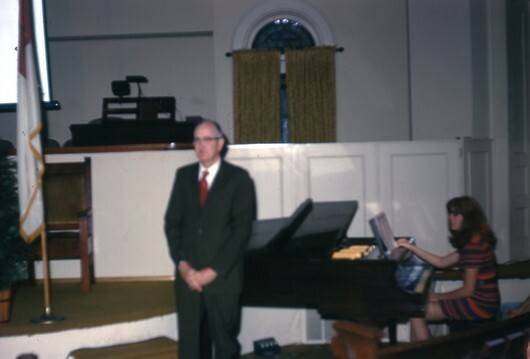 One of the unique highlights of FBC of Washington, Georgia history is the role of Dr. Homer L. Grice in the formation of Vacation Bible School. Here is a video tribute from our 2012 Homecoming Celebration featuring actual footage from the 1924 Vacation Bible School held in Washington, Georgia along with special commentary by Mrs. Mabel Johnson who attended VBS under the leadership of Dr. Grice. (Courtesy of the FBC website).